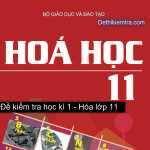 Đề thi học kì 1 môn Tiếng Anh lớp 11 có đáp án của Sở GD & ĐT Vĩnh Phúc năm học 2015 – 2016. I. 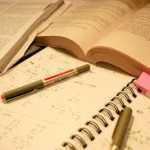 Choose the word whose underlined part is pronounced differently from that of the other words. II. Choose the word whose main stress is different from that of the other words. III. Choose the best answer A, B, C, or D the one that is SIMILAR in meaning to the underlined word. 1. The film is not worth seeing. The plot is too dull. 2. If the headmaster were here, he would sign your papers immediately. IV. Choose the best answer A, B, C, or D the one showing the underlined part that needs correcting. 2. Peter acknowledged that his chances in winning the race to be slim. V. Choose the best answer A, B, C, or D the one that is OPPOSITE in meaning to the underlined word. 1. She is a very generous old woman. She has given most of her wealth to a charity organization. 2. The doctor advised Peter to give up smoking. VI. Choose the best answer among A, B, C, or D to complete each of the following sentences. 1. Like many other baby birds, ducklings are blind___________- birth. 2. We took part in a sponsored walk___________- to support the poor. 3. The children were warned___________- in the lake without an adult present. 4. How can you let such a silly incident___________- your friendship? 5. We are going to have my house___________- tomorrow morning. 6. An English Club will be___________- to help children improve their English. I. Fill in each blank space with one appropriate from the box. There are more provided words than needed. 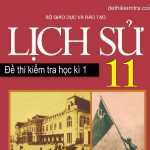 In the summer of 2000 the Vietnam Society of Learning Promotion (1)__________- a campaign for illiteracy eradication. In the campaign, six hundred ethnic minority students from the northern highlands were asked to provide reading and writing skills to 1,200 illiterate people living in their own villages. In 2001, eight hundred volunteer. Students took (2)__________- in the campaign. The number of people receiving reading and writing lessons (3)__________- 4,623. This was an effective way to help people in remote and mountainous areas to read and write. The fight against illiteracy continued in the summer of 2002. This time the Vietnam Society of Learning Promotion decided to expand its activities to the central mountainous provinces. At present, the number of illiterate people in the remote and mountainous areas is gradually decreasing. It is hoped that illiteracy will soon be (4)__________- in our country as more and more people are taking part in the struggle against it. Is winning everything? Ask kids and the answer is probably “No”. Ask the adults and the answer is probably “Yes”. And it is adults who control sports for young people – with terrible results for many kids. Twenty millions of children between the ages of eight and sixteen play organized sports outside of school. Their experiences are sometimes very bad. Why? Because of the adults, often their parents, who watch the games. Children’s sports are organized like professional sports Children play baseball and football. They wear all the equipment that professional athletes wear. They have uniforms and umpires and referees and leagues. They have games. And many people come to watch their games, especially the families of the players. Because the children’s games are like adults, professional games, their parents want adult professional competition. When a child drops a ball, his father becomes angry. When a child doesn’t run fast, his mother might shout, “Run faster! Run faster!” And the child? With an angry father and a shouting mother, this is not a happy time. Unhappy and nervous, the child wants to stop playing. The game is not fun now. But he or she can’t stop, because the competition is not finished. 1. How are the children’s sports organized? A. They are easier. B. They are for children only. C. They are the same as adults’. D. They are not competitive. 2. Why do some children become unhappy playing sports? B. Because they play worse than adults. C. Not all of them can play. D. The adults watch them play. 3. What do parents want from children players? A. Win the game. B. Not to drop the ball. C. Run faster. D. Play a lot more. 4. What is the most important idea in the text? B. Winning is more important to parents than to children. C. Winning is important to parents. D. Winning is important to both children and parents. I. Complete the second sentence as similar in meaning as the first one beginning with the words given. 1. “I’m terribly sorry I’m late” said Flora. 2. She started learning French two years ago. 3. The trousers are too small for me (enough). 4. I prefer walking to riding. → I prefer to _________________. → Lee gave up her job _________________. – What party did you attend? – Where and when was it organized? – What activity took place at the party? – What food and drinks were served at the party? – Why was it impressive? II. (0.25 point per one correct item). 1. Flora apologized for (his) being late. 2. She’s been learning French for two years. 3. These trousers are not big enough for me. 4. I prefer to walk rather than ride. 5. Lee gave up her job with a view to continuing her education. Kiểm tra chất lượng kì 1 môn Hóa học 11 Vĩnh Phúc: Để phân biệt dung dịch Na3PO4 và dung dịch NaNO3 nên dùng thuốc thử nào?